The pianist Lang Lang has a message for aspiring musicians. Even after you have learned all the notes of a tune, there are many ways to play them. He demonstrated in our studios by leaning inside our grand piano, reaching under the propped-up lid. LANG LANG: Today let me look more into the strings (plucking piano strings). INSKEEP: You just plucked the strings like a guitar. LANG LANG: Yeah, yeah. And then tomorrow, let's focus more on the hammer (tapping piano hammers). INSKEEP: That pounds the strings. LANG LANG: Yeah. And then let's focus more on the keys the day after (playing piano). INSKEEP: He did this while explaining why he is returning to compositions he played as a child. Lang Lang is a concert pianist for whom almost no composition seems too difficult. INSKEEP: Yet his latest album, "Piano Book," features much simpler classics, tunes many adults recall trying to play in piano lessons and that Lang Lang played growing up in China. INSKEEP: He had time to rethink the music of his youth after an injury forced him to lay off the piano for months. Music triggers memories. And when the 36-year-old sat at our piano, the music triggered his. 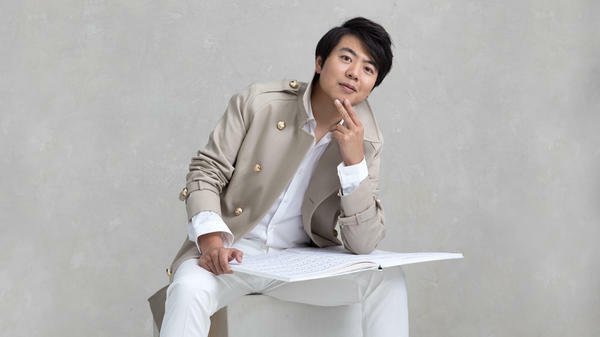 LANG LANG: I still remember my first teacher. Professor Zhu told me, you know, now you'll learn those pieces. But every 20 years, you got to come back and to rediscover what can you do with it. And I was like, that's crazy. Come on. I already know. I mean, I know those pieces by heart. I know how to play this piece. Why should I play it, you know, 30 years back? And now I realize - oh, my goodness - I mean, I have to because those pieces was kind of my best friends, and I need to know them better. INSKEEP: This piece by Mozart takes Lang Lang back to his first-ever piano recital. He started early. The recital in China came when he was 5. LANG LANG: And this recital made me wanting to becoming a musician. I thought there was such a beautiful feeling of performing on stage. INSKEEP: When you were in that recital at age 5, was that competitive in some way? LANG LANG: Yeah, and I was a little bit nervous. But you know, in the end it was good. In the end, it was good. And then I actually won, so that helps a bit. INSKEEP: Out of how many people competing? LANG LANG: A few hundred? LANG LANG: A few hundred, yeah. INSKEEP: ...Which a lot of Americans will know. INSKEEP: And was this one of the compositions you played when you were a kid? LANG LANG: Yes. I mean, this piece - I mean not only me played I think every piano student started with this piece. But actually, this piece is not just a ringtone, you know? This piece is a real beautiful, masterful piece. INSKEEP: Now, just listen to two different ways that Lang Lang showed us you can play that familiar melody. The first time, he's going to hit all the right notes. But the second time, his fingers will tell a story. LANG LANG: Because you can just put your hands, you know (playing piano). It's quite easy, you know? But it's very hard to make (playing piano). You know? So we - we have to play art, you know, not just the note. You know, those piece cannot just play like a type machine. LANG LANG: It need to already play like you are part of it. LANG LANG: Yeah. So first of all, you know, you're like a searching machine, you know? You're like (playing piano). You kind of scan the whole harmonic changes, cadence. And then you start with everything you can learn from what the Beethoven really want - you know? - all the dynamic remarks. And then you start, you know, kind of directing yourself. You are like kind of a music director. You start thinking about who the character comes, what age, how does she or he looks and who are he or she with. And then you create the whole - the house look like, the mountain looks like, the water looks like, what color it is. And then you start to go with the music to find the dramatic turn. INSKEEP: ...And making the music the soundtrack to that movie. LANG LANG: Yes, it's exactly like that. INSKEEP: What advice would you have for people who are trying to play these classic songs and maybe know they're never going to play them the way you do, but want to play their best? LANG LANG: You know, when I start teaching any kid, I always like to say, maybe you should play this "Chopsticks" song, you know? (Playing piano). And then I always say, you know, when you play something, don't play exactly the same. So you do (playing piano) - one, two, three. One, two, three. One, two, three. One, two, three. And then also, you know, what you do - you can make a crescendo and, you know, diminuendo like (playing piano). And then you can make it really, really, really soft. You know, kind of - you take a breath and then hold the air, then start (playing piano quietly). And then let it out (playing piano louder). You know? So in a way, that - music, you need to really use your imagination and use the dynamics, use the expression, you know, to do. And then don't feel shame about it. INSKEEP: Lang Lang has mastered some of the most difficult piano parts yet at our grand piano showed you don't need much music at all, to make a statement. Transcript provided by NPR, Copyright NPR.